If your Star Wars vinyls are simply too three-dimensional for you, get yourself some Blox bobble heads. 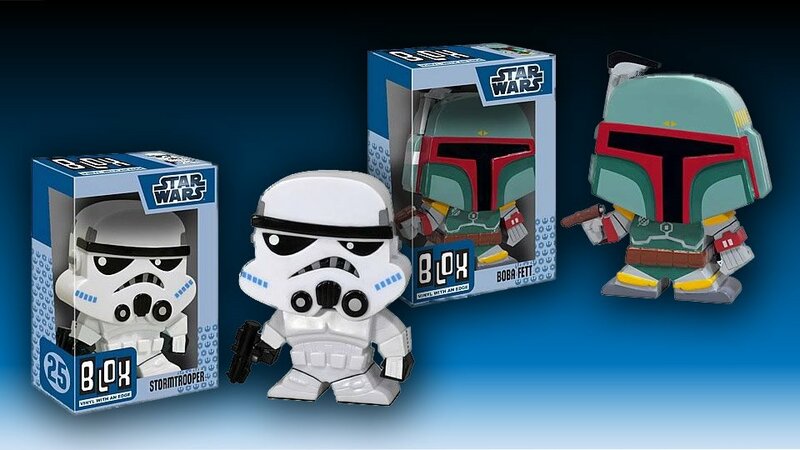 Choose from Boba Fett, with his deadly blaster at his side or a Stormtrooper, who also carries a blaster, but in his hands it’s anything but deadly. Each figure stands 7″ tall and comes with a cool display box.